Anndi Lynn McAfee ( /ˈmækəfiː/ ; born September 28, 1979) is an American actress, voice actress and singer. She is the older sister of fellow actor Scott McAfee. Scott McAfee is an American actor best known as the voice of Littlefoot from The Land Before Time films II-IV. He is the younger brother of Anndi McAfee, who is the current voice for The Land Before Time character Cera. Gaucher's disease or Gaucher disease (GD) is a genetic disorder in which glucocerebroside accumulates in cells and certain organs. The disorder is characterized by bruising, fatigue, anemia, low blood platelet count and enlargement of the liver and spleen, and is caused by a hereditary deficiency of the enzyme glucocerebrosidase, which acts on glucocerebroside. When the enzyme is defective, glucocerebroside accumulates, particularly in white blood cells and especially in macrophages. Glucocerebroside can collect in the spleen, liver, kidneys, lungs, brain, and bone marrow. 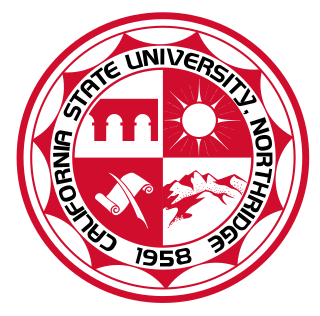 California State University, Northridge is a public state university located in the Northridge neighborhood of Los Angeles, California in the San Fernando Valley. 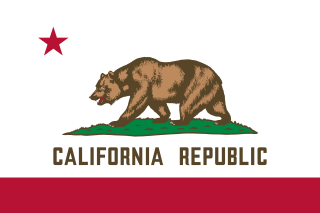 With a total enrollment of 38,716 students, it has the largest undergraduate population as well as the second largest total student body of the 23-campus California State University system, making it one of the largest comprehensive universities in the State of California and the nation in terms of enrollment size. The size of CSUN also has a major impact on the California economy, with an estimated $1.9 billion in economic output generated by CSUN on a yearly basis. As of Fall 2017, the university has 2,127 faculty, of which 818 are tenured or on the tenure track. "Let It Go" is a song from Disney's 2013 animated feature film Frozen, whose music and lyrics were composed by husband-and-wife songwriting team Kristen Anderson-Lopez and Robert Lopez. The song was performed in its original show-tune version in the film by American actress and singer Idina Menzel in her vocal role as Queen Elsa. Anderson-Lopez and Lopez also composed a simplified pop version which was performed by actress and singer Demi Lovato over the start of the film's closing credits. A music video was separately released for the pop version. 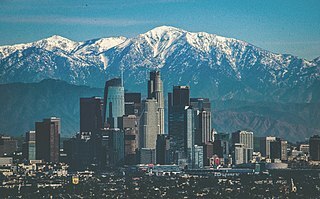 Los Angeles County, officially the County of Los Angeles, is the most populous county in the Los Angeles metropolitan area of the U.S. state of California and is the most populous county in the United States, with more than 10 million inhabitants as of 2017. 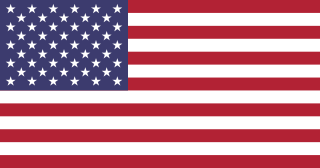 As such, it is the largest non-state level government entity in the United States. Its population is larger than that of 41 individual U.S. states. It is the third-largest metropolitan economy in the world, with a Nominal GDP of over $700 billion—larger than the GDPs of Belgium, Saudi Arabia, Norway, and Taiwan. 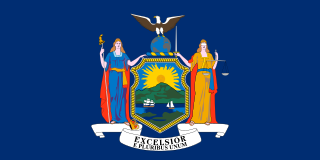 It has 88 incorporated cities and many unincorporated areas and, at 4,083 square miles (10,570 km2), it is larger than the combined areas of Delaware and Rhode Island. 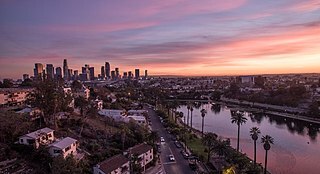 The county is home to more than one-quarter of California residents and is one of the most ethnically diverse counties in the U.S. Its county seat, Los Angeles, is also California's most populous city with about 4 million people. 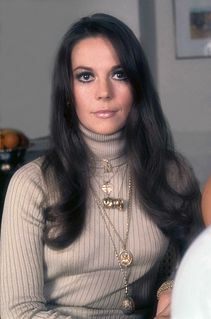 Natalie Wood was an American actress. Molly Kathleen Ringwald is an American actress, singer, and author. She was cast in her first major role as Molly in the NBC sitcom The Facts of Life (1979–80) after a casting director saw her playing an orphan in a stage production of the musical Annie. She and several other members of the original Facts of Life cast were let go when the show was reworked by the network. She subsequently made her motion picture debut in the independent film Tempest (1982), which earned her a Golden Globe nomination for New Star of the Year. Brittany Murphy-Monjack, was an American actress and singer. A native of Atlanta, Murphy moved to Los Angeles as a teenager and pursued a career in acting. Her breakthrough role was as Tai Frasier in Clueless (1995), followed by supporting roles in independent films such as Freeway (1996) and Bongwater (1998). She made her stage debut in a Broadway production of Arthur Miller's A View from the Bridge in 1997, before appearing as Daisy Randone in Girl, Interrupted (1999) and as Lisa Swenson in Drop Dead Gorgeous (1999). Carol Elaine Channing was an American actress, singer, dancer, and comedienne, known for starring in Broadway and film musicals. Her characters usually radiated a fervent expressiveness and an easily identifiable voice, whether singing or for comedic effect. Christina Ann McNichol is an American actress, comedian, producer, and singer. 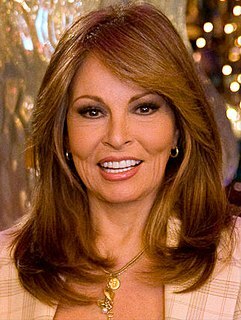 Madlyn Soloman Rhue was an American actress in film and television roles. 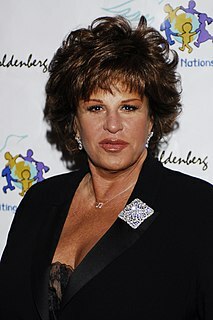 Lainie Kazan is an American actress and singer. She was nominated for the Primetime Emmy Award for Outstanding Guest Actress in a Drama Series for St. Elsewhere and the 1993 Tony Award for Best Featured Actress in a Musical for My Favorite Year. She was nominated for a Golden Globe Award for her role in My Favorite Year (1982). Kazan played Maria Portokalos in My Big Fat Greek Wedding and its sequel film My Big Fat Greek Wedding 2. John Derek was an American actor, director and photographer. He appeared in such films as Knock on Any Door, All the King's Men, and Rogues of Sherwood Forest (1950). He was also known for launching the career of his fourth wife, Bo Derek. Amber Lynn is an American pornographic film actress, model, and exotic dancer. Margaret Ann "Peggy" Lipton is an American actress and former model. Lipton became an overnight success through her best-known role as flower child Julie Barnes in the ABC counterculture television series The Mod Squad (1968–1973) for which she won the Golden Globe Award for Best Actress – Television Series Drama in 1970. Her fifty-year career in television, film, and on stage included many roles, most notably that of Norma Jennings in David Lynch's surreal Twin Peaks. Lipton was married to the musician and producer Quincy Jones and is mother to their two daughters, Rashida Jones and Kidada Jones, who also became actresses. Charmian Carr was an American actress and singer best known for her role as Liesl, the eldest Von Trapp daughter in the 1965 film version of The Sound of Music. Alexandra Barrese is an American actress and professional poker player. She is best known for her role as Tracy Billings in The Hangover Trilogy. ↑ "Anndi McAfee - On Camera" . Retrieved 16 June 2016. ↑ Anndi McAfee (March 3, 2014). "My cover of "Let It Go" from Disney's Frozen". Anndi.com. Anndi McAfee. Retrieved March 22, 2017.